Women's Heart Shaped Silver Pendant : LOVE2HAVE in the UK! A women's heart-shaped silver pendant. This necklace features the larger version of the silver heart pendant on the snake chain listed previously. The heart measures 28mm in height and this time comes with a black suede thong that measures approximately 15 inches long. Other lengths are available on request. The heart has a smoothly rounded edge styling to it giving it a sleek designer look. The black suede is an alternative choice in contemporary designer styling for women. 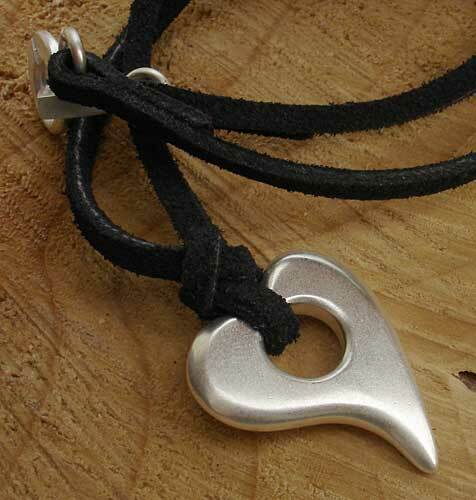 It has been knotted through the heart and features a secure silver fastener. The heart has a matt satin style quality to the finish giving it a softer look. Again, it is the attention to shaping and quality that makes this piece a very particular and unique gift. 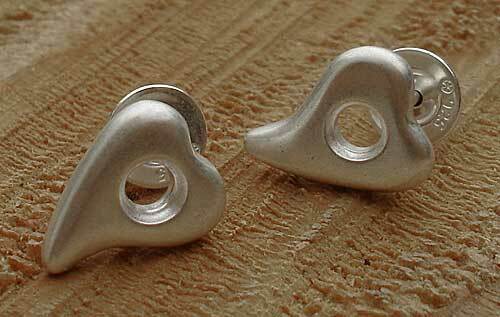 A pair of matching stud earrings are also available as pictured. Size(s) Available: 15 inches as standard.